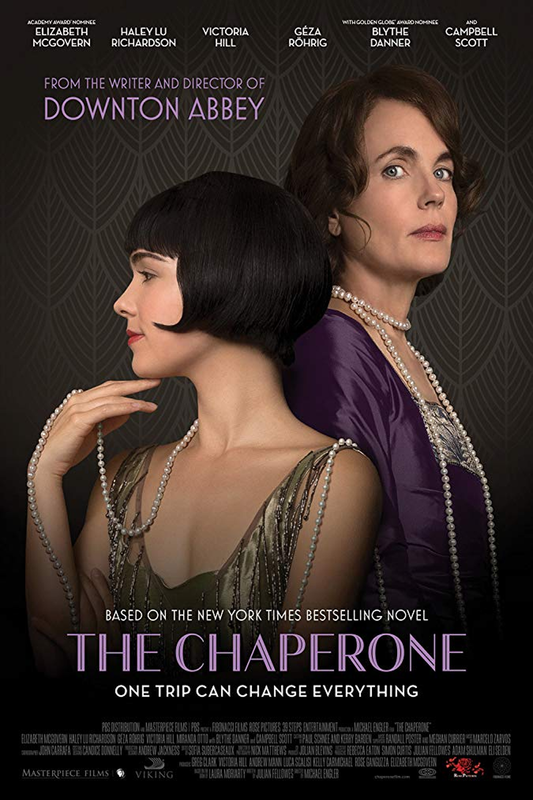 Written by Downton Abbey creator Julian Fellowes and adapted from Laura Moriarty’s best-selling novel, The Chaperone follows the rise of silent-film star Louise Brooks (Haley Lu Richardson, Split). But before acting, it was dancing, first in Kansas, where Louise was born and raised, and then in New York City. The film spends most of its time on Louise’s summer adventure in the big city, where she is accompanied by Norma (Elizabeth McGovern, Downtown Abbey, The Commuter), the titular caretaker. Louise is out to become famous — but also to explore a life of freedom in the jazz-age hustle-and-bustle of the Big Apple. Her conflict with Norma, a disciplinarian trying to push the young teenager into becoming a prim and proper young lady, is a classic clash of vibrant youth and strict authority. But sometimes old dogs (ahem, experienced canines) do learn new tricks, and there might be some lasting lessons for Norma in Louise’s headlong and fearless adventure as well.